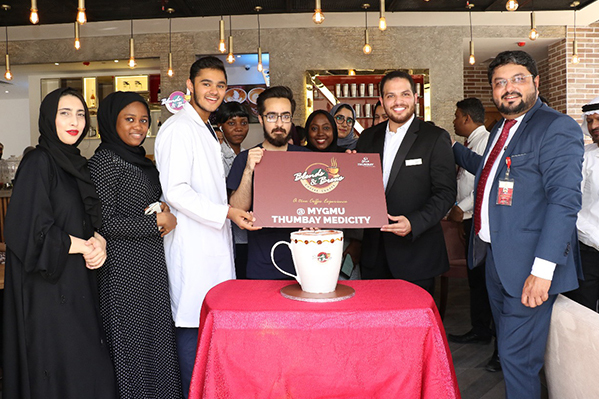 UAE-born international brand of coffee shops Blends & Brews Coffee Shoppe, operated by Thumbay Group’s Hospitality Division, opened a new outlet at Thumbay Medicity, Al Jurf, Ajman on 7th May 2018. It is located adjacent to Thumbay Dental Hospital – the first private dental hospital in the country and the largest academic dental hospital in the Middle East region’s private sector, in close proximity to Gulf Medical University (GMU), leading private medical university owned by Thumbay Group, as well as the soon-to-be-operational 500-bed Thumbay teaching hospital and the Thumbay Physical Therapy and Rehabilitation Hospital. 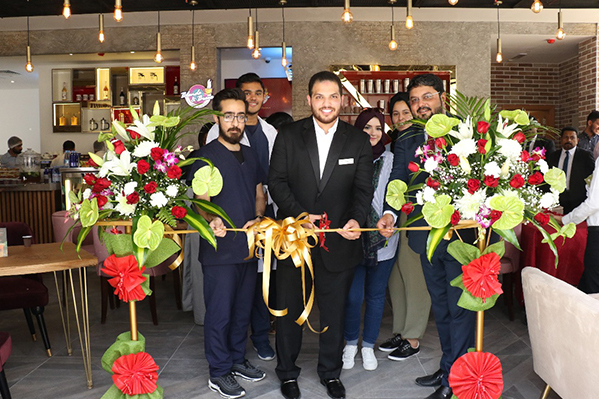 The coffee shop was inaugurated by Mr. Mohammed Omar Abdennaser Sadek, General Secretary of the GMU Students’ Council, in the presence of Mr. Farhad C – Director of the Hospitality Division of Thumbay Group, and other members of Thumbay Group Board. 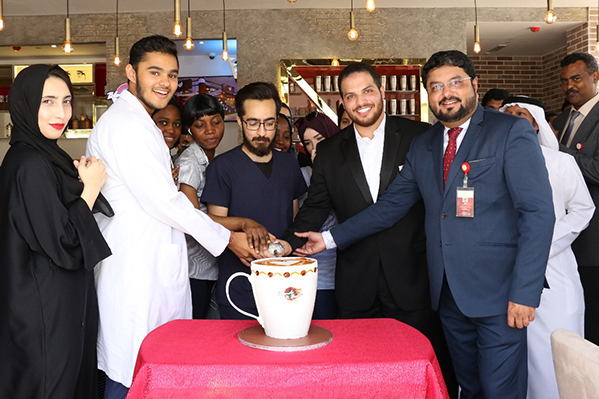 One of the fast-growing chains of coffee shops in the region, Blends & Brews has multiple outlets in different Emirates of the UAE, in addition to its first outlet in India which was opened in Hyderabad in 2016. The brand has outlets at major shopping malls, offices, universities, government offices, hospitals, health clubs, etc. and the numbers are growing owing to its huge popularity and demand. Its first drive-thru outlet was opened in Ajman in 2016. It also operates ELITE outlets catering to upmarket customers. Blends & Brews’ ambitious expansion plan envisions its expansion in the Middle East region, Africa and India, in line with Thumbay Group’s strategic plans. “According to the strategic plans of Thumbay Group, Blends & Brews is headed for a huge global expansion, with 100 outlets to be operational by 2022. The brand also seeks to extend franchise offers to partners in countries including India and the MENA region,” said Dr. Thumbay Moideen, Founder President of Thumbay Group. Thumbay Medicity also houses Body & Soul Health Club and Spa, The Terrace Restaurant, as well as existing Blends & Brews Coffee Shoppe outlets in GMU and Body & Soul. In addition to hot and cold beverages Blends & Brews has a short-eats menu designed in accordance with the local palate. It also has its own range of sugar-free delicacies including drinks, cookies and cakes. The stores are designed as attractive open spaces and the interiors are coffee-themed, based on the concept of modernity. The Baristas are professionals who are keen on giving customers a taste of the brand’s values, besides great coffee. Established by the Founder President Dr. Thumbay Moideen in 1998, today Thumbay Group is a diversified international business conglomerate headquartered in Dubai, with presence across 20 sectors of business including Education, Healthcare, Medical Research, Diagnostics, Retail Pharmacy, Health Communications, Retail Opticals, Wellness, Nutrition Stores, Hospitality, Real Estate, Publishing, Technology, Media, Events, Medical Tourism, Trading and Marketing & Distribution. Thumbay Group follows a strategic plan, according to which the Group aims to expand its businesses over ten times, with global presence. The strategic vision plan aims to increase the employee strength to 25,000 by the year 2022. The hospitality division of Thumbay Group operates three different brands: The Terrace Restaurant, Blends & Brews Coffee Shoppe, and Body & Soul Health Club & Spa. The Terrace Restaurant is a multi-cuisine restaurant chain operating multiple outlets across Dubai, Sharjah, Ajman and Fujairah. 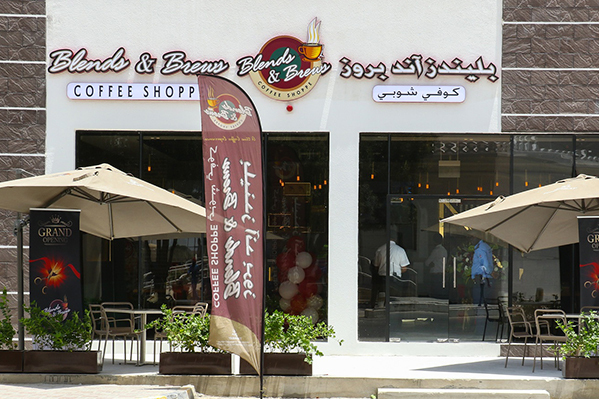 Blends & Brews Coffee Shoppe has outlets in Dubai, Sharjah, Ajman, Fujairah and Hyderabad (India). Body & Soul Health Club & Spa operates five clubs in the UAE, including ‘ELITE’ and ‘LADIES ONLY’ facilities, offering extensive sports, recreation, fitness, health, social and youth programs, with the sixth club slated to open in Fujairah shortly.